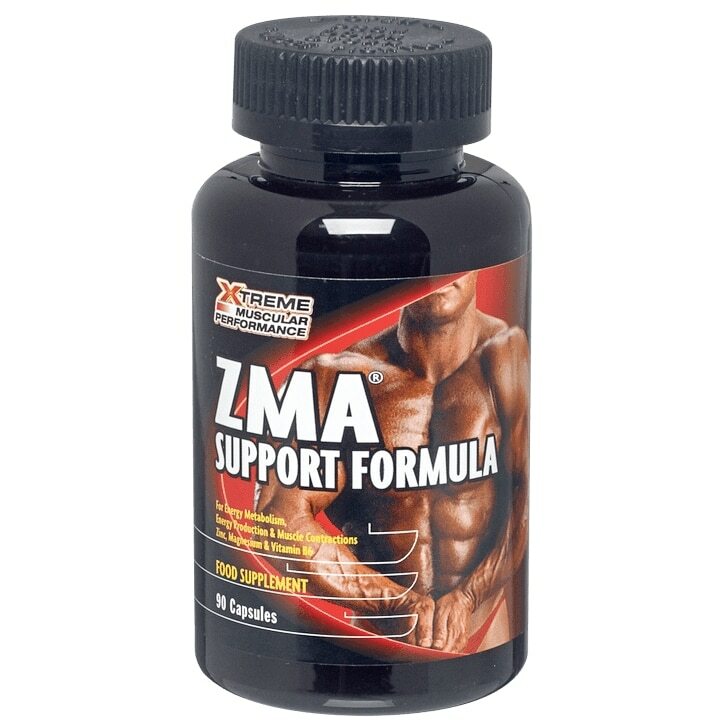 ZMA® is a unique formula manufactured by a proprietary process containing highly bioavailable forms of Zinc and Magnesium, including Zinc L-Monomethionine (L-OptiZinc). Formulated with Vitamin B6 to further enhance Zinc and Magnesium absorption and utilisation. Zinc is involved with energy metabolism and Magnesium is an essential component of the muscle enzyme creatine kinase and is a vital factor in energy production and muscle contractions. Take two capsules daily, preferably on an empty stomach 30-60 minutes before bedtime. For best results, avoid taking with dairy or other calcium-containing foods or supplements. Do not exceed recommended dose. ZMA ® (Zinc L-Monomethionine, Zinc Aspartate, Magnesium Oxide, Magnesium Citrate, Vitamin B6 (as Pyridoxine Hydrochloride)), Capsule Shell (Gelatine)(Sulphites), Anti-Caking Agent (Magnesium Stearate).